Catalonia’s industrial sector decreased by 1.1% in 2012 due to the economic crisis. However, exports and foreign investment mitigated the fall, according to the 2012 Annual Report on Catalonia’s Industrial Sector, presented on Thursday in Barcelona by the Catalan Government’s Deputy Minister for Business and Competitiveness, Pere Torres. Catalan companies exported products for €58.28 billion, the highest figure ever. This represented 5.7% more than in 2011 and 15.4% more than in 2008. 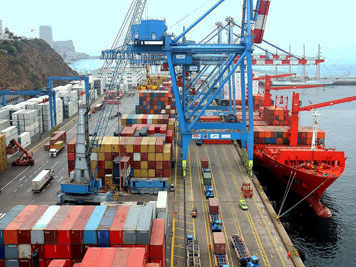 Exports from Catalonia represented 26.2% of Spain’s total exports in 2012. Furthermore, foreign investment in industrial projects in Catalonia increased by 6.2% last year compared to 2011. Therefore, the highest volume of exports ever and an increase in foreign investment in industrial projects meant that the Catalan industrial sector decreased at a slower pace (-1.1%) than the Spanish average (-2.9%). Torres criticised the lack of access to bank credit, since “it is the main obstacle” to investments made by Catalan companies. In fact, industrial investment in Catalonia decreased by 2.1% in 2012. The other great obstacle slowing down the Catalan industrial sector’s growth is the poor internal demand due to the austerity measures of the public sector and the high unemployment rate.